AAA Action Garage Doors is a reliable, affordable and dependable garage door service company. We have been servicing Las Vegas locals, as well as surrounding areas, for over 38 years. Not only have we become the leading experts in garage door repairs, maintenance, and installation, but our greatest passion is retaining our valued customers and making them feel like part of the family. We provide skillful work while maintaining out integrity, morale and affordable prices. 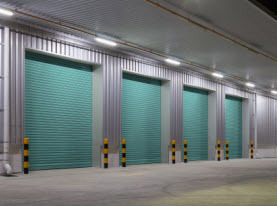 Garage doors are quite a large unit, comprised of moving parts, that like anything else that gets used frequently, will acquire wear and tear that need talented professional garage door repairs. Our technicians have been masterfully trained and know the operation of all garage door models. Repairing a garage door is often done quickly and efficiently with our top quality products and state of the art equipment and tools. 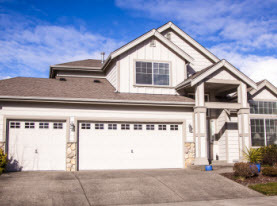 Garage door openers, springs, cables, rollers, tracks, and section/panels are all components that requires repair from time to time, and our pros can get it done the first time. Garage door openers have become a modern technological device, engineered with durable materials and impressive constructs. But when a device is used continuously, it is only a matter if time when it will need some repairs. 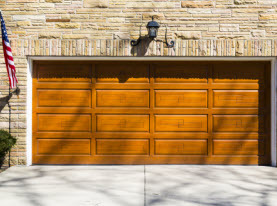 Garage door openers could be experiencing a deteriorating part, transmitter signaling issues, or interference with the opener’s frequency if you notice any trouble. Our professionals are trained to investigate the openers to find one or a combination of malfunctions. Once discovered AAA Action Garage Doors pros utilize their expertise and premium equipment to get your garage door opener back into smooth operation. 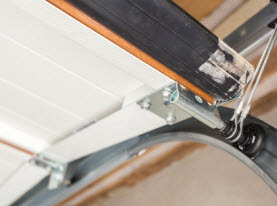 Garage door springs are a common element that need repairs. It can also be a dangerous and difficult for the untrained person to try and complete. If a spring isn’t repaired or replaced proficiently, it can lead to safety risks and irreversible damages to the garage door. AAA Action Garage Doors team members possess all the training, knowledge and skills to properly and safely repair garage door spring to your Las Vegas valley home. Garage door cables are similar to the springs, as they naturally become worn with use as they help pull the garage door open and closed, and like the springs, if not accurately repaired or replaced, the can pose a threat or contribute to additional damages. Do not attempt these repairs on your own, instead let AAA Action Garage Doors affordable prices and outstanding technicians safely and efficiently repair the garage door cables. Garage door rollers need expensive special tools to replace. Instead invest that money into a professional garage door roller replacement performed by AAA Action Garage Doors and get it done right the first time! Garage door tracks can become bent, rusted or misaligned without much notice. Tracks need to be in pristine condition and precise alignment to function effortlessly. Trained technicians at AAA Action Garage Doors know the precision and meticulous nature the tracks overall condition and performance needs. Garage door sections or panels can get dinged, crumpled, or damaged with a simple mistake of thinking you were in reverse, but you were in drive. Garage doors that sustain damage are not only an eye sore, but they can disrupt the functioning capabilities and embark additional damages. AAA Action Garage Doors pros can ensure your garage door panels or sections are replaced or repaired appropriately. Las Vegas residents only need one number stored in their smart phones for superior garage door repair with remarkable prices and premium results, and that is AAA Action Garage Doors. Call us today if you need your garage door repaired!